The Mane Objective: #30DaysofDope Update: Here's What Happened Weeks 2 and 3! 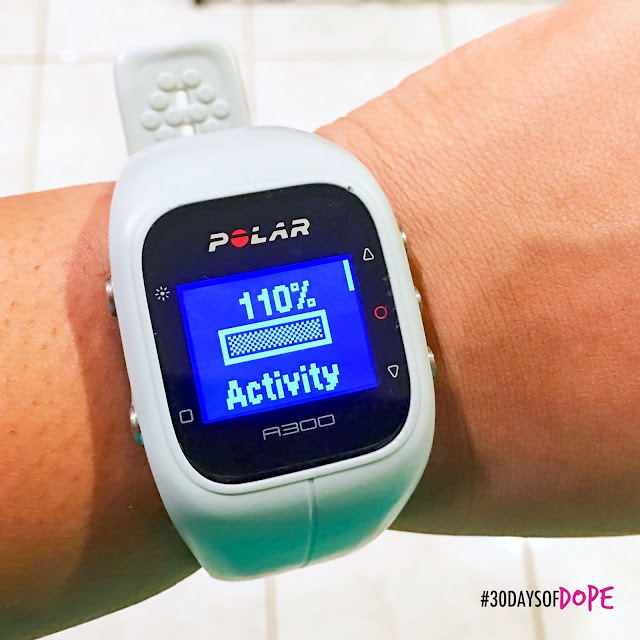 #30DaysofDope Update: Here's What Happened Weeks 2 and 3! 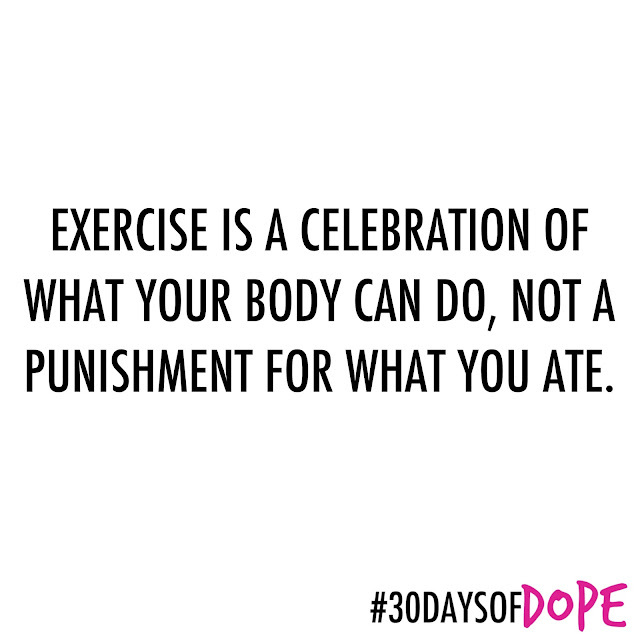 Today is officially the 23rd day of #30DaysofDope. Yes! 23 days down. 7 to go. And I couldn't be more thrilled. The past two weeks has had its share of ups and downs, but that's par for the course when it comes to journeys of personal excellence. So without much delay, let's jump right in. The events of this past week has worn on us all. I'd be remissed if I didn't acknowledge that the apparent open season hunting of Black lives in America has taken a toll on us psychologically, physically, and spiritually. But if nothing else, the past few weeks have reminded me of what it's like to have an open, honest conversation with God. Not just hallelujahs and holy praises, but to really talk to God. To break down that wall we have, set aside all the spiritual language, and talk to God. Sometimes, I didn't even have the words - but that's okay, cause Romans 8:26-27. I also experienced God at work, at work. I don't talk a lot about my job, but for those of you that don't know - I work full time in digital marketing. I'm blessed to work for an agency owned and operated by two of the dopest Black women I've ever met. And on Thursday of last week, following the the tragedies of Alton Sterling and Philando Castile my bosses pulled the team together on a call. For about an hour, work operations ceased. We shared our thoughts. Our feelings. Our fears. We validated each other's feelings. And we prayed. It was one of the most powerful reconciliations of my Blackness and my faith that I've ever experienced. And I'm grateful to God for it. Y'all, I don't like to brag or boast, but I sure as heck am about to pat myself on the back. I've been crushing it in the gym. 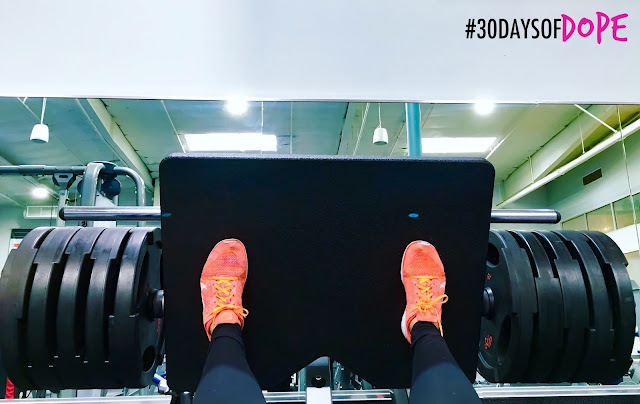 I do HIIT runs on the treadmill at least three times a week (the 4th time I may walk, or hit the stairmaster), and I'm putting up heavy weights. I'm doin' the damn thang. As a result, some physical changes are occuring, but I'm holding off on "results" pics until after the 30 days is up. But on another note, my attitude toward the gym is shifting again - and this journey has been several years in the making. When I first started working out (like 5 years ago), I hated every second of it. Then I liked it. Then I hated it again. Then, I grew to a space where I could tolerate it, but only certain exercises. At the beginning of #30DaysofDope, I wasn't wild about the gym, but there was a 75% chance you could convince me to go. Some days and some workouts were better than others. Right now, that's changing again. I'm starting to vibe with the gym. Starting to feel like its my place to show up and be EXCELLENT. I can get used to this. ...and I'm here to tell you that it/s absolutely true. 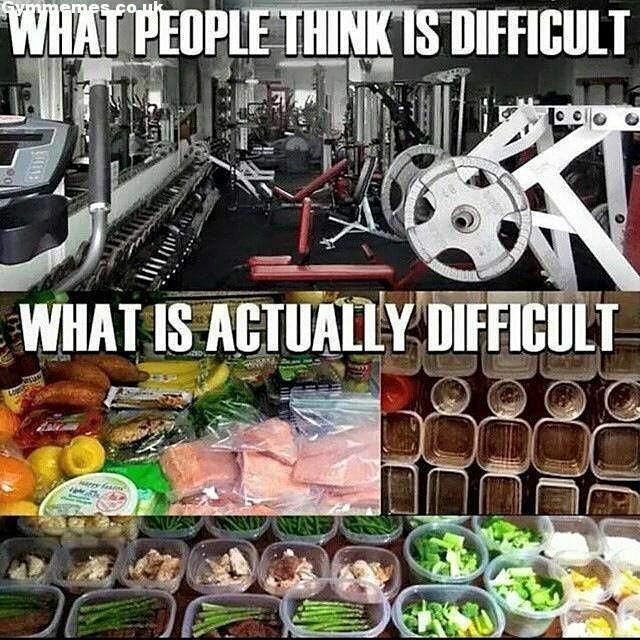 Changing your eating habits is one of the most difficult things to do. Changing eating habits, counting macros, using a food scale, having discipline.. all that is a work in progress. But I'm getting better - and my discipline in those areas is on the rise. I create recipes in MyFitnessPal for accurate calorie and macro counts. Drinking lots of water. Managing my sweet tooth. Funny story there - because I've been doing pretty well, I treated myself to that Susiecakes on Saturday. And when I tell you...it jacked my stomach UP... Listen. My stomach was cramped up all night. I won't go into too much detail, but I learned my lesson. At this point in my life, there's a growing list of things I used to love that I literally cannot stomach anymore. McDonald's is one of them. McDonald's for me = instantaneous gastrointestinal distress. Unfortunately, it looks like I'm heading down that same path with that super rich Susiecakes. Le sigh. Looks like I'm back to making protein cookies and eating Muscle Butter. I'm at the point now where if I feel myself being any less than excellent, I say, "Christina, go be DOPE." Sometimes I respond to myself with, "I don't feel like it!" - but the other 90% of the time I go about my business of being excellent. And that's what this is about - progress, not perfection. I've told folks many times that excellence is relative, and your personal best is not going to look the same every day. I'm getting comfortable with that, and owning my excellence. Well, that's all for weeks 2 and 3.. Stay tuned for the next post!